DAVID LE/Staff photo. 2/26/15. 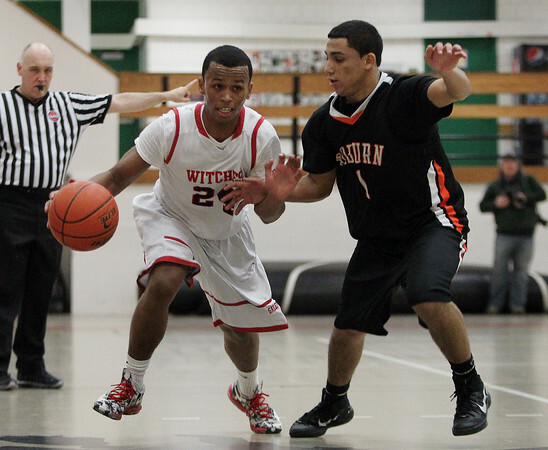 Salem junior guard Kelven Perpetuo (24) tries to escape pressure along the sideline from Woburn junior Daniel Moscat (1).